Not all these brands may make a specific on-pack nut-free and / or peanut-free claim, but avoid them in their products and operate no-nuts factories, lines or sites. Always double-check in case of any change in policy, and note that some peanut-free tree-nut products are included below. See also our ‘14 allergens free‘ list of brands, which will be safe. Say they use “no peanuts or peanut-based products as ingredients in our food”. 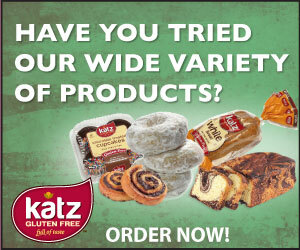 Gluten / wheat / dairy free breads — and some other bakery products, as well as unusual flours (chufa / tiger nut flour) and spreads (vegan chocolate icing and chocolate-free spread). Peanut free tree-nut butters. NB. These are tree nut butters so not tree-nut free! Difficult to find in the UK, but some bulk ordering available on Amazon. Two nut-free sites, producing savoury pies, and cakes / pastries. Chocolate! For adults, kids, seasonal, and wedding favours. Chocolate drops. Say they are nut free (as well as wheat / gluten / dairy free). Ready-made dinner bowls, lunch pots and salad jars, made on a nut-free manufacturing site. Vegetarian / tofu food products. “All our products are made on nut free sites”. Their nut policy statement would suggest they are suitable for a nut-free diet. Dairy yoghurts. Their Suckies for kids fruit yogurts (with no added sugars) only are made in a nut-free segregated area of a factory. Details on tweets here and here. Chocolate and carob confectionary. “All our products are nut free”. Gluten-free meals made in a nut-free facility. A brown loaf and a seeded loaf, which is both gluten free and vegan. Shortbread biscuits. Safe, according to Tom’s Secret Agents. South American-inspired snacks. GF as well as nut free. Baking mixes, sauces, gravy granules – all made in a nut-free environment. Crisps, bean / pea snacks. Nut-free cakes, including some Sainsbury’s brand. Nut-free products and nuts not handled in the factory. Chocolate. See their Nut Safety Promise. Coconut milk and spread. Also yoghurts but these carry a ‘made in factory where nuts handled’ warning. Snacks and treats. Free from peanuts only (not tree nuts). Newcastle-based local baker specialising in free from cakes — all nut free as well as vegan / GF etc. Say they have operated peanut-free sites since 2016. Peanut safe only (not tree nut safe). Gluten-free tortilla chips, various flavours, made in a nut-free factory. Egg free and dairy free mixes made in a nut-free environment. List of foods suitable for a nut-avoidance diet. Peanut free tree-nut butters. NB. These are tree nut butters which are free from peanut only! See also this article from our vaults. Available from Amazon UK too. Chocolate, carob, egg free mayo, plant milks. No nuts on site. Homemade biscuits. GF / DF as well as nut free. Curries, chutnies, naans and more. Crackers, biscuits and more — vegan and Kosher, a couple of GF products too. Natural and organic rice pastas. ” … produced in nut free premises”. ONLY their Grenada Chocolate Company bar range is nut free (and GF / DF). See their ‘guarantee’ here. Product guidance for people avoiding nuts and peanuts, with a combined list for egg too. Dressings, condiments, curds, sauces, marinades and oils. Flavoured icing sugars and cocoa powders, made in a nut free factory. Also GF / DF. Biscuits, cakes, crackers. Regularly updated list of foods suitable for a ‘nut avoidance diet’. Own-label products suitable for those avoiding nuts and peanuts. Nut and peanut list – for Weetabix, Alpen, Ready Brek, Oatibix. Tree nut snacks. Free from peanut, only.